Germany's drug cost-effectiveness watchdog has declined to recommend Almirall's Eklira (aclidinium bromide) after deciding that data did not demonstrate it had additional benefit to treatments already on the market. 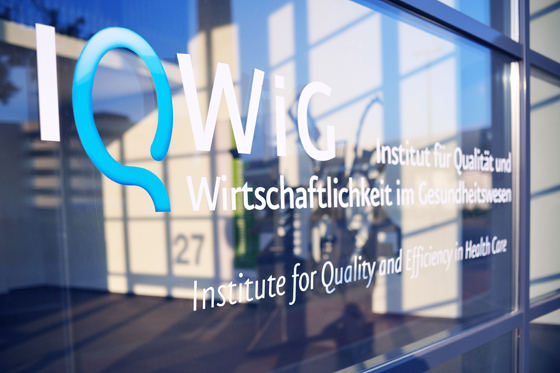 Making its decision, the German Institute for Quality and Efficiency in Health Care (IQWiG) criticised the clinical information about the COPD drug it had been given. “No robust results were submitted by the manufacturer in its dossier: for the direct comparison, there were no studies of an adequate duration. The data for the indirect comparison were incomprehensible for several reasons. Therefore the added benefit is not proven,” IQWiG said. The drug, which has been available in Europe since October 2012, is also marketed under the brand name Bretaris by Almirall's partner Menarini in some European markets outside Germany. A long-acting bronchodilator, Eklira is licensed to treat adults with chronic-obstructive pulmonary disease (COPD) and works by widening their narrowed airways. IQWiG examined the drug under the country's AMNOG legislation, with Almirall providing data directly comparing it to Boehringer Ingelheim's long-acting anticholinergic Spiriva (tiotropium). The company submitted two studies that directly compared the two drugs, but these only lasted for two and six weeks and IQWiG said it had wanted to see studies of at least six months, given that Eklira is a long-term treatment. It decided “the dossier thus contained no studies relevant for the direct comparison”. The cost effectiveness body was similarly scathing when it came to making indirect comparisons between the two, for which Almirall used studies that compared Eklira and Spiriva with placebo. Comparing the submitted results with the original sources, IQWiG said it found “substantial differences” between the two, with discrepancies between the sets of information and a lack of clarity about the provenance of some of the data. “No proof of an added benefit of aclidinium bromide compared with the appropriate comparator therapy (ACT) can be inferred from the data in the drug manufacturer's dossier,” it concluded. IQWiG's assessment dossier is now with the Federal Joint Committee (G-BA), which will consult with the pharma company and other stakeholders before publishing its early benefit analysis within the next three months.